Perry Baker is known to the world for his exceptional gas on the 7s world series stage, with a reported 100m time of 10.58 seconds! This quickness hasn't gone unnoticed by some of deep pockets within the Top 14 league, it's been stated that Biarritz have been in talks with the flyer. All Blacks fly-half Aaron Cruden, has been linked with English Premiership side Bath, as they look to strengthen their ranks come 19/20 season. The 30 year old, who has 50 New Zealand caps to his name, is contracted til 2020 with Montpellier, but that hasn't kept away the transfer spectulation. 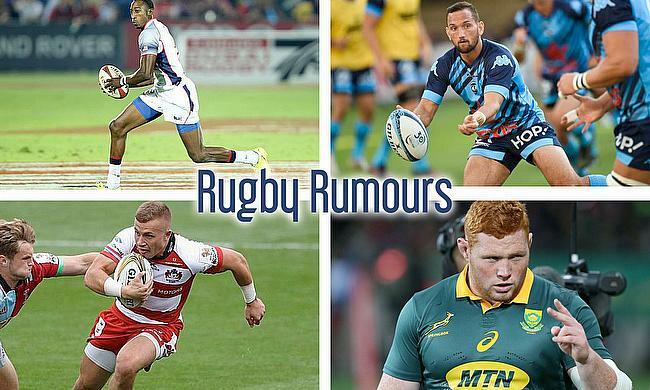 Sale Sharks are no strangers to a Springbok in their side, and it appears they'll adding to their collection with a international front-rower. It's been rumoured that they've signed the talents of Steven Kitshoff on a 3 year deal, worth a reported £1.5million for the powerful loosehead. The young scrum-half prodigy, Ben Vellacott, has already proven his worth at Gloucester, although has seen the starting jersey fall to club captain Willi Heinz. Much like Dan Robson's journey to Wasps from Gloucester, the Coventry based outfit seem keen to sign another blossoming 9 from the Cherry and Whites.